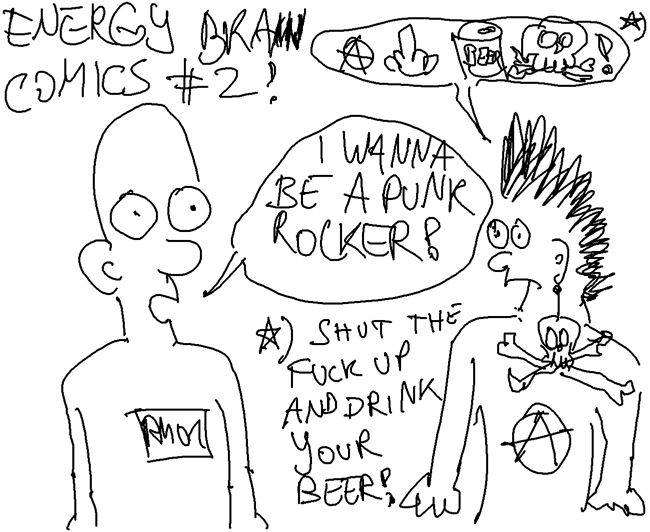 Welcome to the official blog for our webcomic, Energy Brain Comics. Even though each single comic has a description (which we often use to talk about life, the universe, or the music we listen to while making comics) and there’s a “Latest News” and “News Archive” tool on the page, I think that a blog is a nice addition. We can take more looks behind the scenes, link to stuff we like, and best of all: you can comment on each individual strip (which we’ll of course post here in the blog as well). 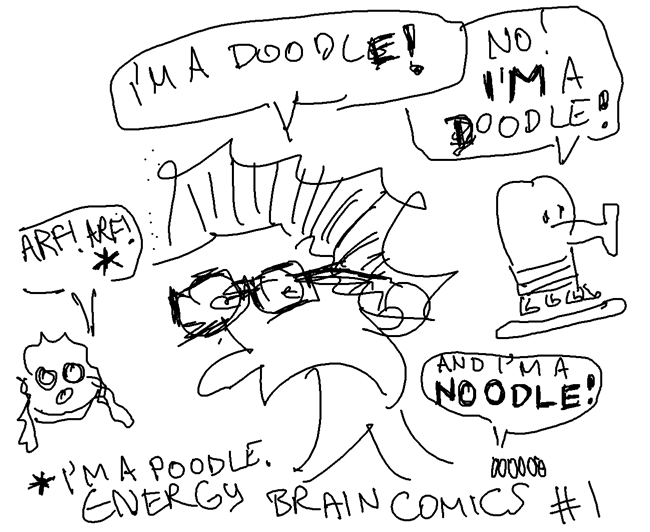 I’ll start by posting all existing strips, and then of course the one I’m going to draw tonight. Update: As I was busy making some changes to the comics website itself (e.g. linking to this blog, as well as to our new DeviantArt and Tumblr pages), I didn’t find the time to draw one last night. I hope to do two of them tonight, but we’ll see how that goes ;). Author ComicAdminPosted on January 5, 2016 January 25, 2016 Categories Comics, MetaLeave a comment on Hi there!